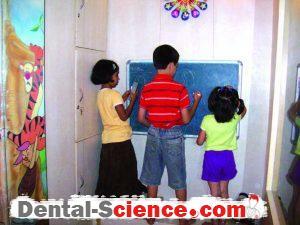 – Children relate to surroundings and react to people around them much differently from adults. – In order to treat them comfortably in the dental clinics, the approach of the dental clinic staff and the clinic atmosphere thus have an important role. – Children do have a ‘place memory’. – This can be both advantageous as well as disadvantageous to us. – Children do not like to visit a place where they have experienced discomfort previously. medical set-ups are stereotype and hence are not liked by children. 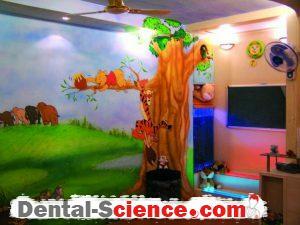 – A child-friendly dental set-up, thus, has to be a little different from a routine clinic. – Children behave, expect and imagine much differently from adults. 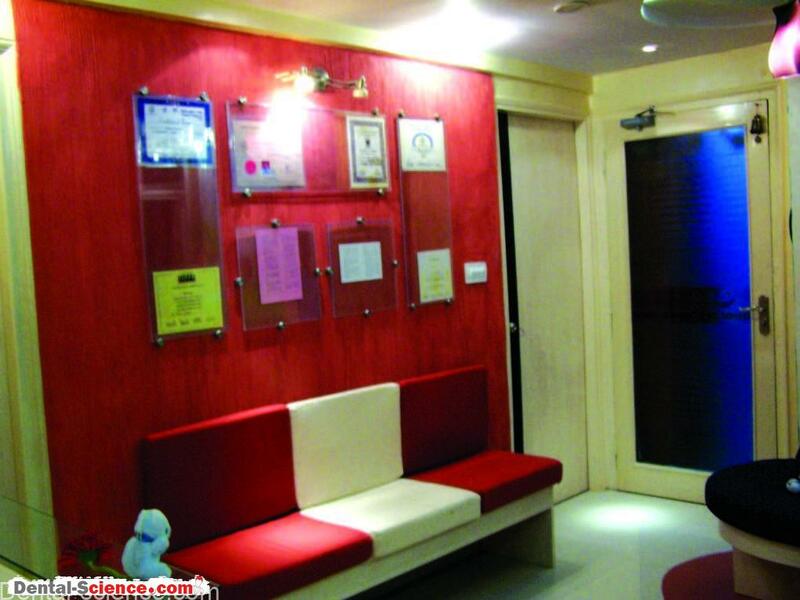 – Keeping this in mind, we have to design a clinic as well as formulate a system of functioning! a child that last a lifetime. – The goal of a dental team must be to help all children feel good about visiting the dentist and to teach them how to care for their teeth. 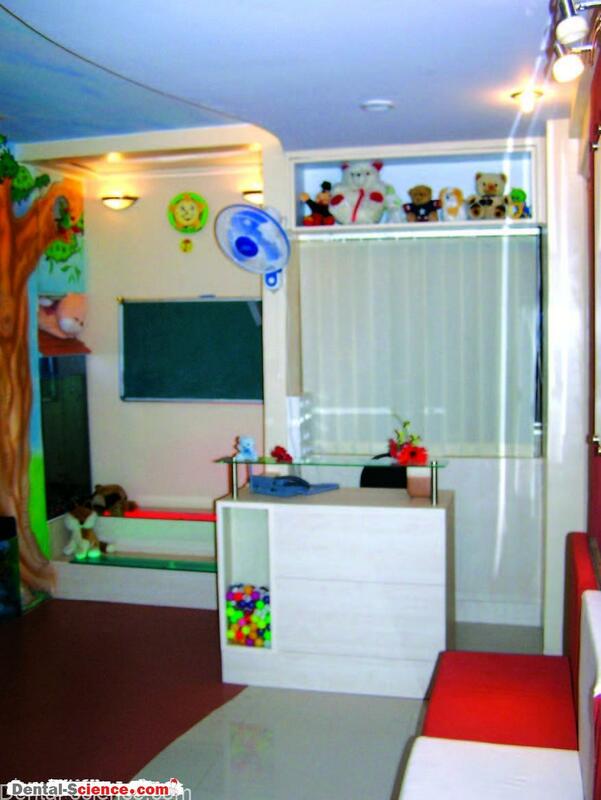 – From the office design to the style of communication, the main concern of the dental team must be what is best for a child. – Also, since about one third of the nations’ population is children, the onus would always be with the general dental practitioners to treat children in their clinics and therefore their clinics must be ‘child-friendly’. 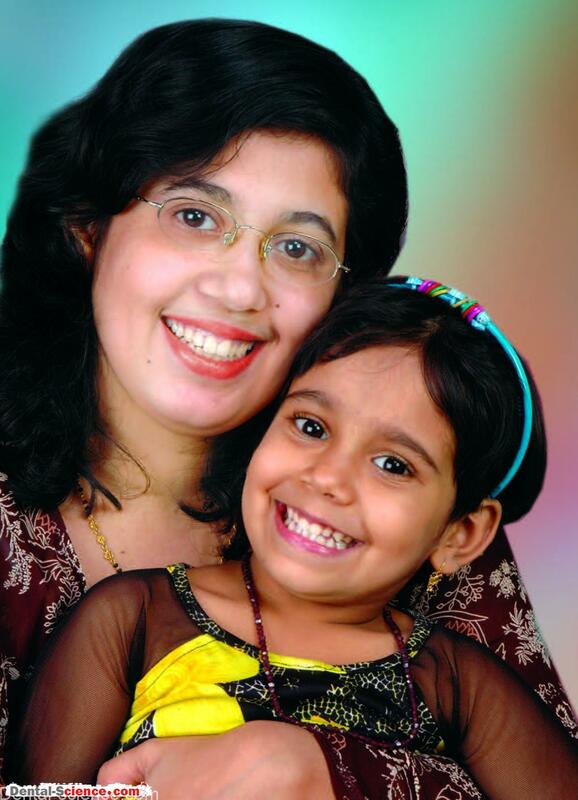 – Furthermore, we live in a ‘child-centered’ society today and hence in the dental clinics too, children should be considered important visitors. 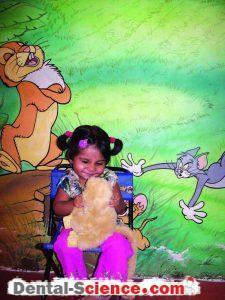 a child-friendly approach in the clinical practice. 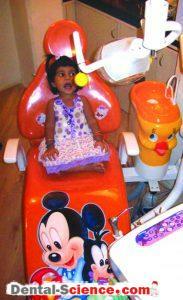 – Both verbal and non-verbal messages can help portray child-friendliness in a dental clinic. 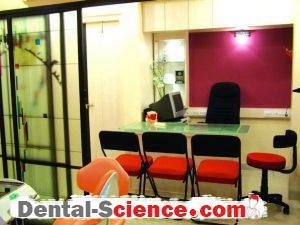 friendliness in the design of the clinic and approach. 1. 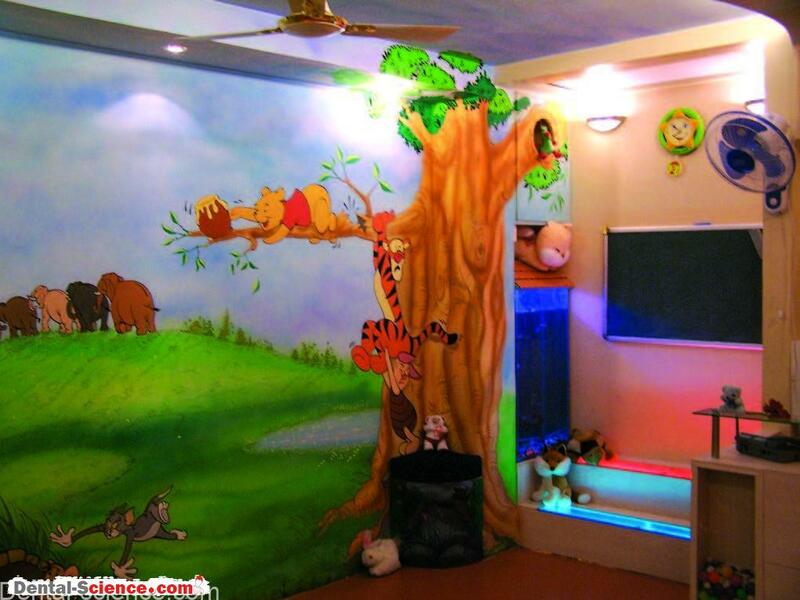 At times, the dental clinics are designed in such a manner that a child has no ‘attractions’ in the waiting area! 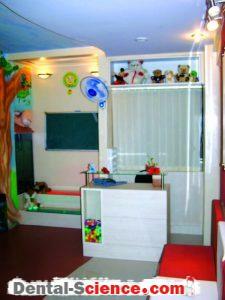 The child has to remain seated along with other patients ‘quietly’ until his/her turn for the treatment comes! 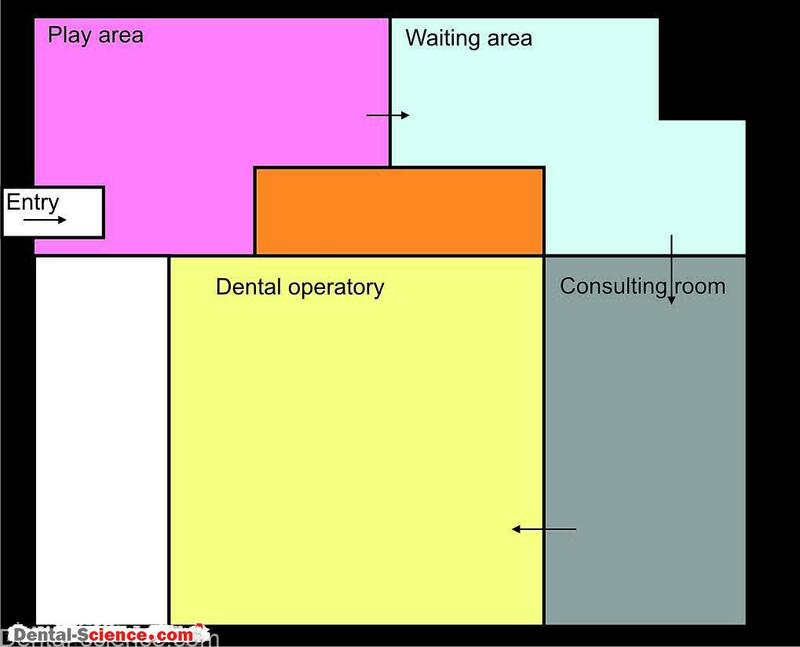 operatory or if the door between the waiting room and the operatory frequently opens for movements of people). extractions, etc. 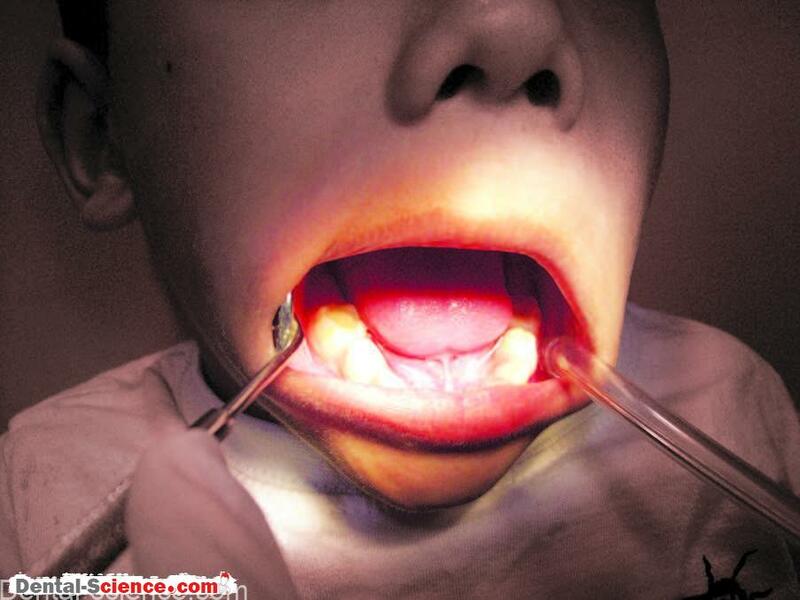 A child can imbibe fear and develop negative attitude towards dentistry. another patient being treated on the adjacent chair. introduced to the child during the first visit. – As the child enters the clinic, he/she must find the place attractive and not like another clinic or hospital that reminds him of pain and discomfort. 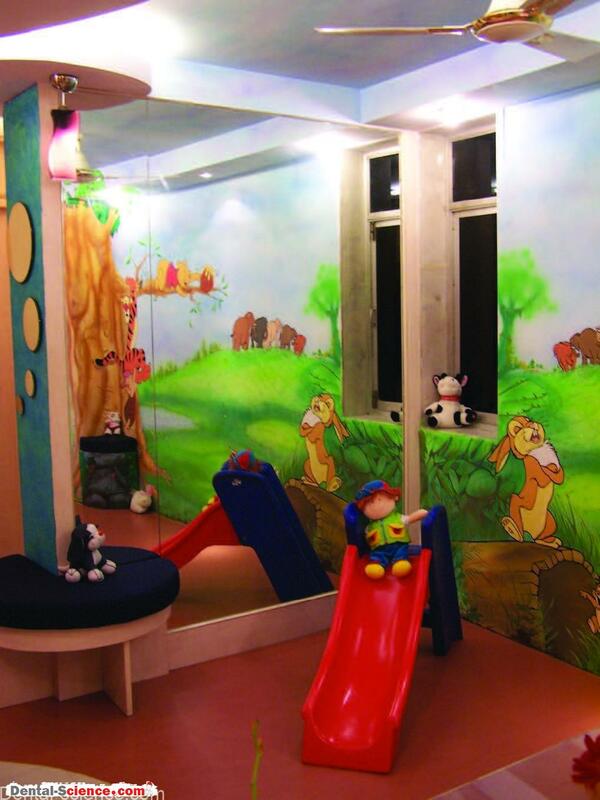 – The play area and the waiting area should keep children engaged in various activities until they are ready to be called in for the consultation. parents with or without children. – It should be separated from the operatory in such a manner that the child does not get to see the dental set-up or any other child undergoing dental treatment. 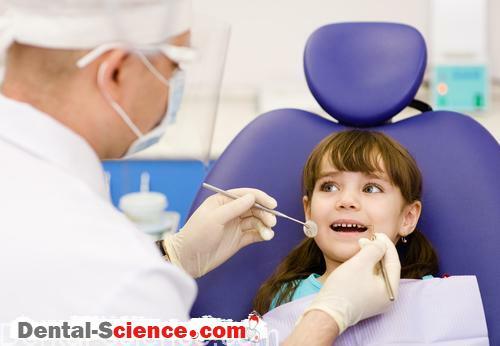 – If a child with past negative experience of dentistry walks in, most of the first visit routine can be completed in the consulting area itself; without the child being forced to sit on a dental chair. escorted to the operatory along with parents. 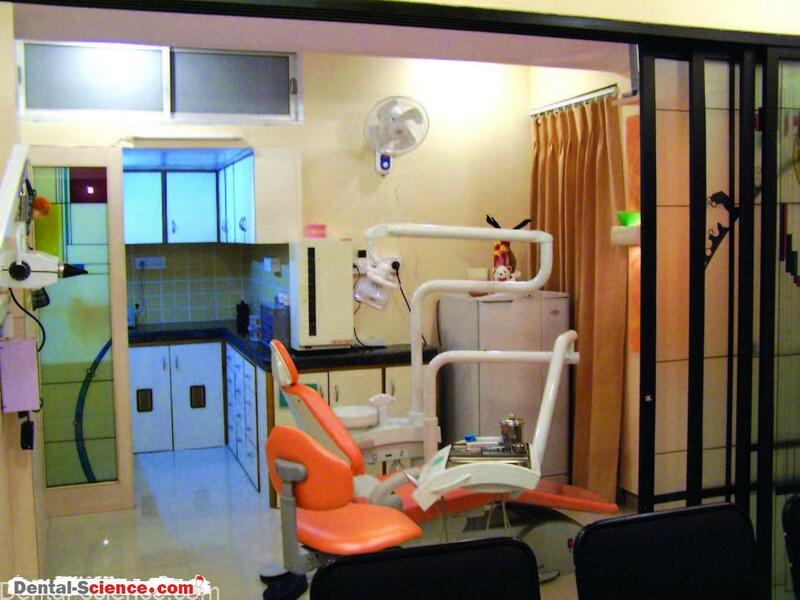 – After a brief examination on the dental chair (the child may be sitting alone or with parents), the child may be accompanied back to the consultation area. – The child may be allowed to play in the waiting/play area and the dentist may now continue the discussion with parents in absence of the child. 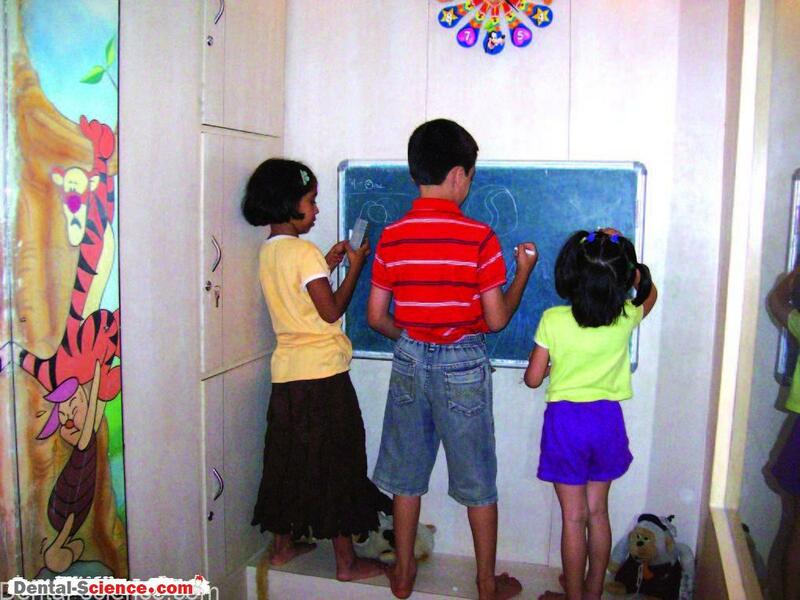 – Children require free, empty spaces to move around! They usually don’t sit in one place. – Therefore, it is necessary to have at least a corner or two in the waiting area free without any chairs, corner tables and other things. 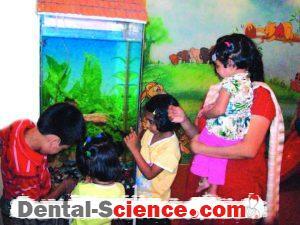 – A fish tank, a black board or a slide may be kept (depending upon the space available) in such a corner. – Also, remaining busy in an interesting activity helps relieve their anxiety by the time they are ready for their turn of dental check-up or treatment. – The receptionist should take interest and possess communication skills to deal with children effectively. 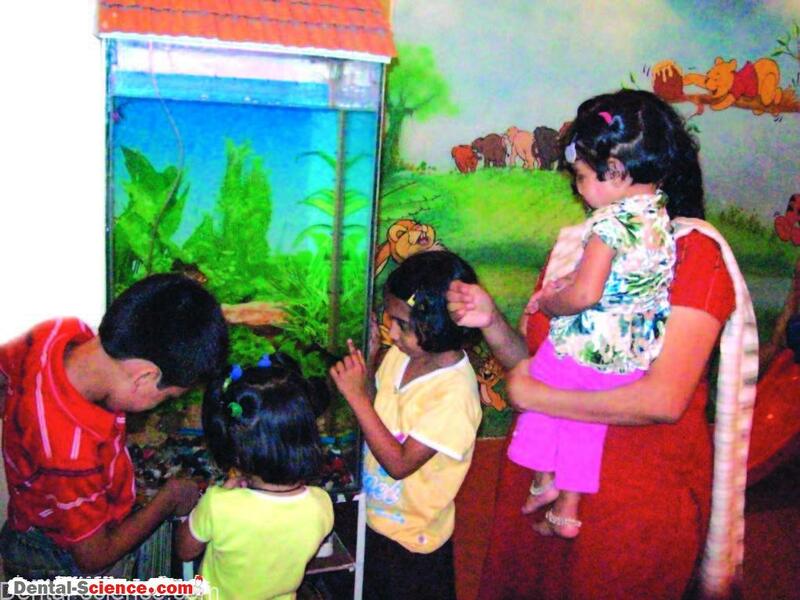 – Often, lack of interest on the part of the clinic staff to deal with children fails to generate any excitement in the child about what is going to happen to him/her. – If a friendly welcome, cheerful conversation and playful atmosphere greets a child, the child feels that he/she is no longer brought here for any punishment and that in turn, makes the job of the clinician easy! 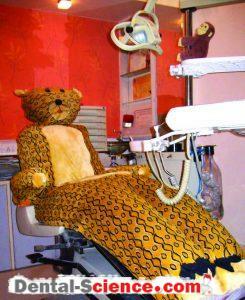 – It is necessary that the waiting time of a child in the dental clinic is pleasant. 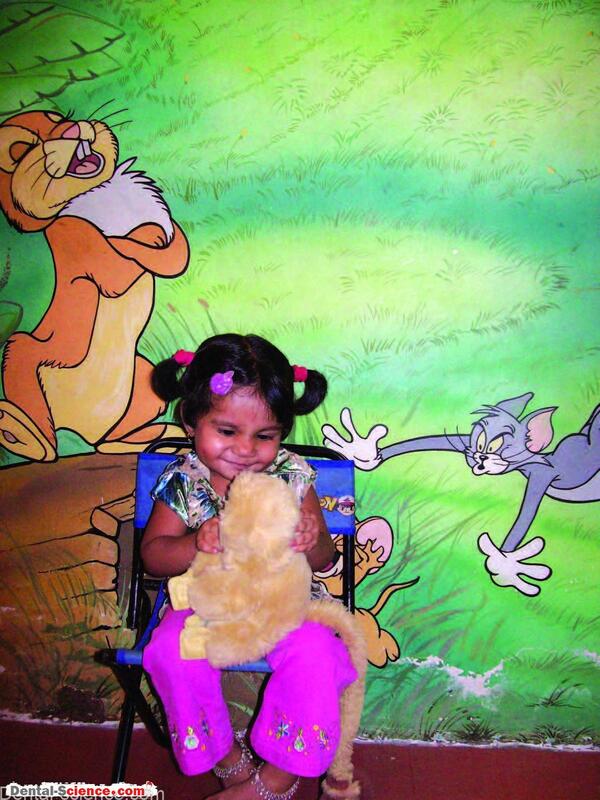 Often, children having to wait for long are bored by the time they are taken in for treatment. – Also, a 5-10 minutes waiting time spent in playing can distract them from the fact that they have been brought for some treatment and is ‘refreshing’ for them. clinical waiting room or is anxious about dentistry. 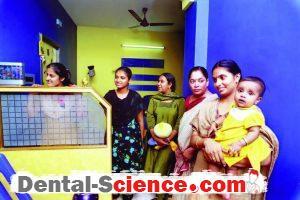 difference in child management in dental clinics. – According to Finn, A good children’s dentist has grace, skill, knowledge and intelligence. child-friendly! 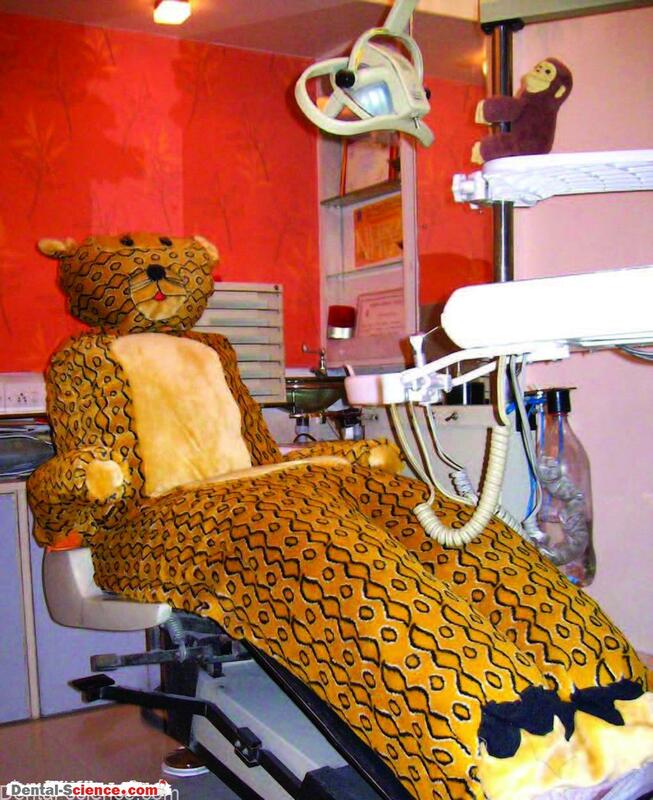 Make an attempt to meet a child casually, and preferably not around the dental chair. then directs the child to dental chair after touring the clinic and introducing other staff members as friends. orange, pink and may dislike grey, black and white, wooden, brown, etc. – Also, smell of spirit, eugenol, acrylic, waxes may not really go well with children. – The noise of an air-rotor handpiece, a compressor or an ultrasonic cleaner can be disturbing, too! (specially the back-rest), or the tray arm coming too close are disliked by most children. – A proper planning and efficient working can help deal with them effectively. an impression material in order to make these things acceptable. 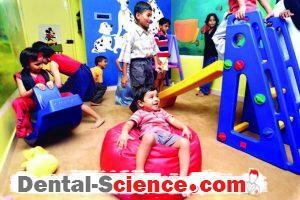 – A lot depends on how the children are prepared at home for their dental visits. – It is important for us to inform and educate them well. – The notice boards in the waiting room must carry instructions to parents before dental visits of children as well as certain post treatment instructions. – Also, a booklet or a brochure as a pre-treatment communication is made available to parents beforehand or delivered to them soon as they enter. 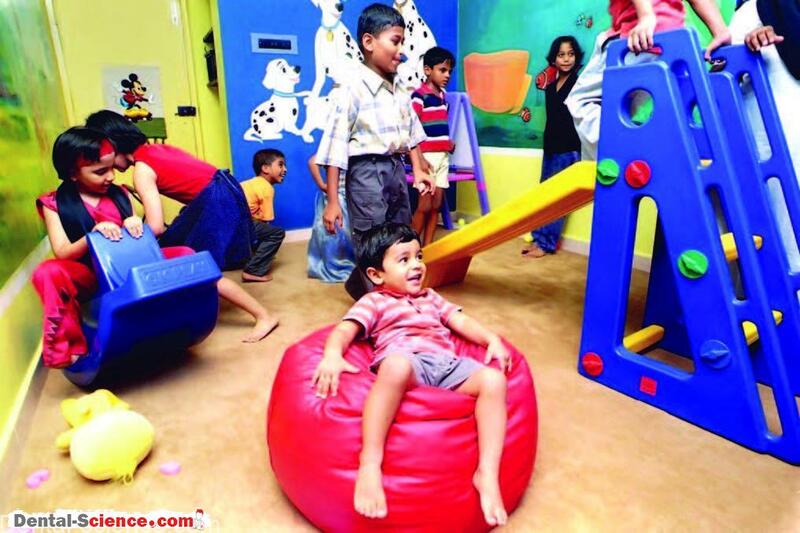 – They enjoy being admired, interacting with others and making their ‘world’ of people and nonliving things such as places, toys, games, cartoon films, etc. – We have to accept them as they are and more importantly become a part of their world by communicating with them verbally as well as non-verbally (with an eye-to-eye contact, physical contact like shaking hands, patting on the back, giving a clap, etc.). – Children are also emotionally different and are susceptible for distraction, friendship, feeling guilty, praise, emotions of other people, etc. 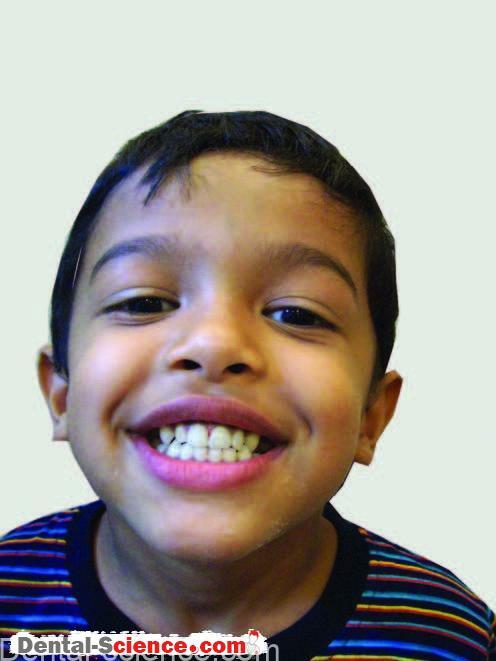 – During initial visits, therefore, the dental team should focus on communicating with children properly to win their confidence and progress to carrying out treatments gradually. – Also, children do cry at times! The dental staff should not panic due to a child crying. – A child may cry due to various reasons in a dental clinic. Noise of certain machines, taste of certain medicines (anesthetic spray, for example), not wanting to get the treatment done, getting bored, are a few examples. – As long as the child does not cry due to pain, there is nothing to worry at all. – Crying does not cause any bodily harm to a child! We must be prepared to listen to it! – However, with a proper protocol of child management followed, such ‘crying’ instances are rare. – Never bribe them beforehand, although. – Even calling a child a “good boy” or a “good girl” or drawing a ‘star’ on his/her hand can work like rewards and excite children and leave with them fond memories of dental visits. medals, soft toys, balls, etc. 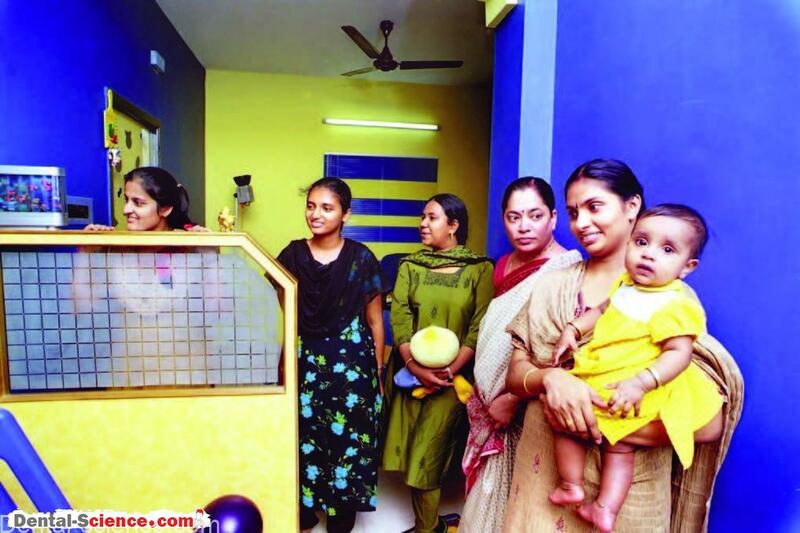 – Getting a different gift at each appointment is exciting for any child! 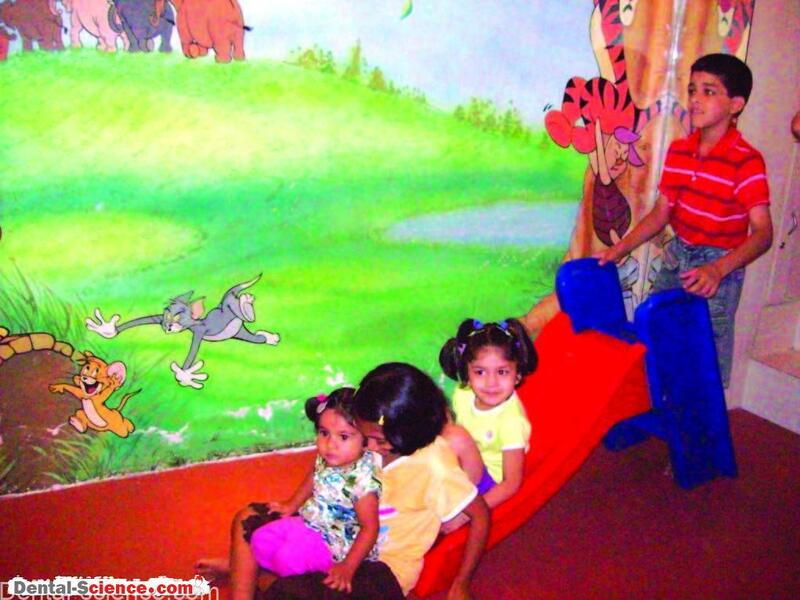 – Children forget themselves while watching cartoon films. treatment while it is being carried out! 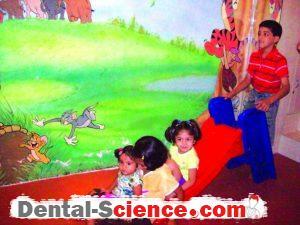 – Also, once a child is cooperative, it reduces the need of talking on the part of the dental team. – It is a good idea to have a camera attached to a TV set displaying the child on the chair. – Children do love watching themselves! – The whole team should work with a plan for each visit of a child. – The plans however, should have certain flexibility. The initial (1-2) visits are usually sufficient for ascertaining the child cooperation and diagnosis and treatment planning. 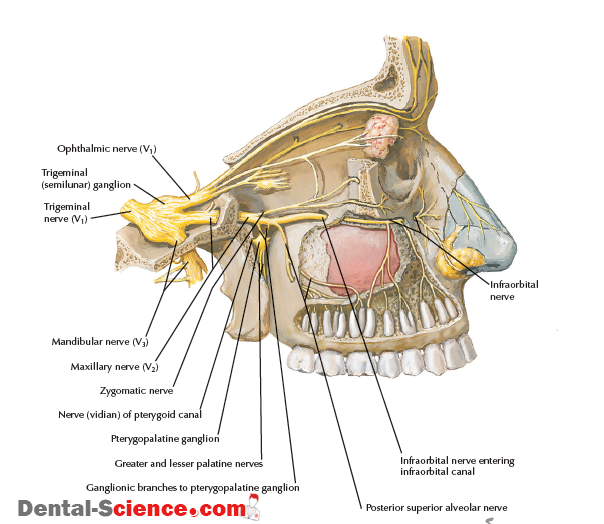 restorative work, have his/her appointment after a cooperative child whom you can model for a certain procedure). 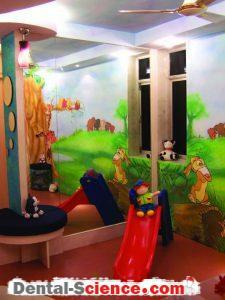 – It’s a good idea to have a separate session of pediatric patients in a busy general practice. children effectively and be positive. 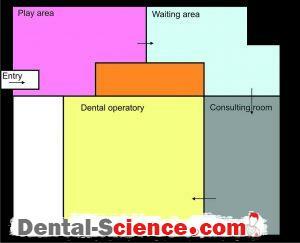 – To make a clinic child-friendly, a dentist has to budget his expenses in two categories. 1. Fixed assets: A wall painting or wall paper, toys such as a slide, a fish tank, a black board, soft toys, wall hangings, etc. 2. Running expenditure: Gifts to be given to children, greeting cards to be sent on the birthdays for children, etc. 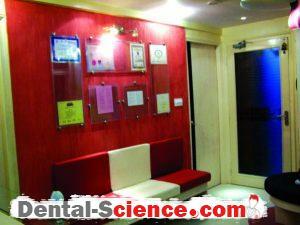 establishment and running costs of dental clinics. – “The foundation of practicing dentistry for children is the ability to guide them through their dental experiences” (McDonald). – It is important to plant seeds for the future dental health early in life and to promote positive approach towards dentistry during childhood (children are keys to the future)! 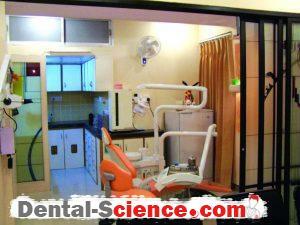 – In order to facilitate this, a dental clinic must be child-friendly.